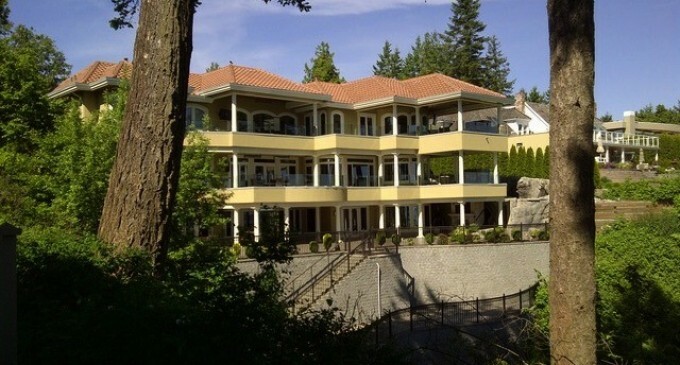 Listed at a staggering $18,888,000 is this sprawling 13,838 square foot, three level estate home in one of the most prestigious areas of White Rock, BC. 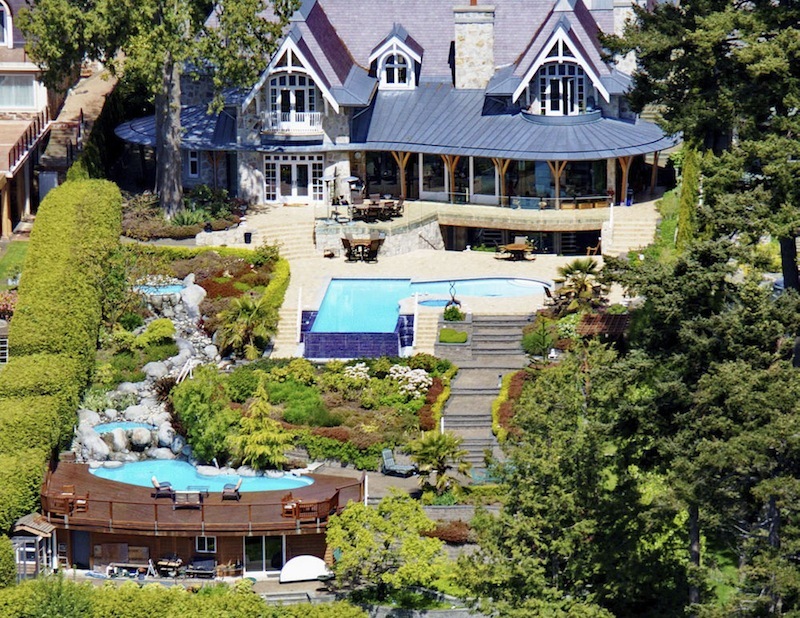 Designed and built in 2009 by Bill Daniels, the home is said to offer the most luxurious & quality standards possible including an indoor pool, massage room, theatre & stage, and spiral staircase. The only image currently available is what you see above. 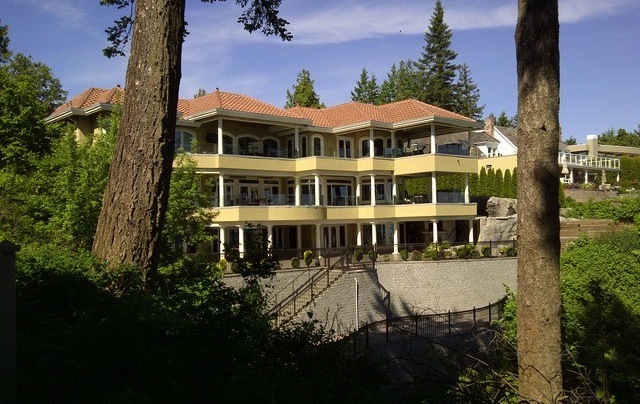 The mansion is situated on a large 1.65 acre water view lot with a mostly wooded backyard sloping towards the water. These screenshots grabbed from Bing! show the mansion under construction. 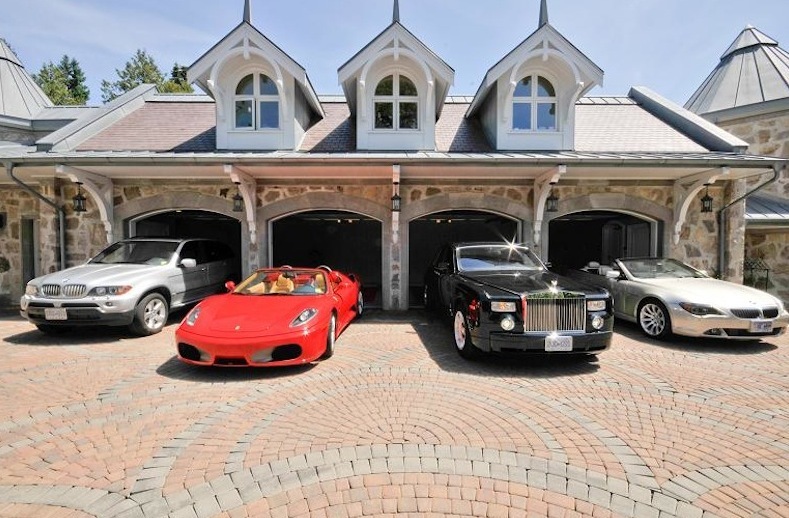 At the front of the home there is an attached 4 vehicle garage with a 1,000 square foot coach house residence above. Sure all of this sounds amazing but is the $18.888 million list price a little inflated for the market? 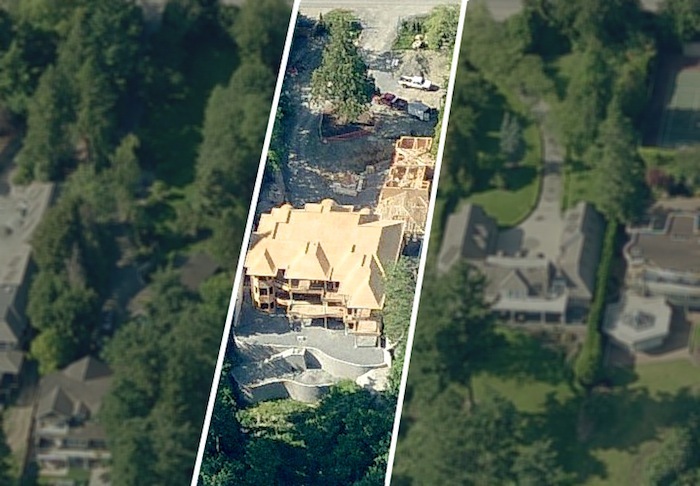 The 2013 BCAssessment came in at just $5,835,000, a $13,053,000 difference. To see the full listing click here. Scroll down to see what was previously offered just two doors away. Located just two doors from the $18,888,000 million mansion is this breathtaking French Chateau with over 10,700 square feet over three levels. 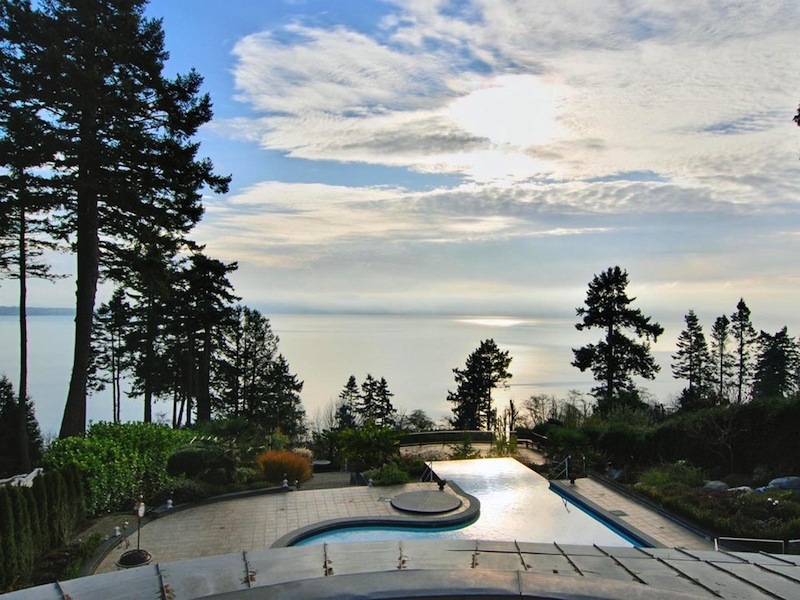 The mansion is set on 1.54 acres with endless ocean views from the infinity edge self cleaning swimming pool, Koi pond, waterfalls, and extensive patios. It was built in 2003 with extreme high end construction including a slate & Zinc roofing system, natural stone exterior, and geothermal heating. The home features a very open plan with beams, cathedral ceilings, and extensive use of glass to take in the ocean views. When this property first came on the market it was listed at $9.5 million. It was later reduced to just $7,877,000. 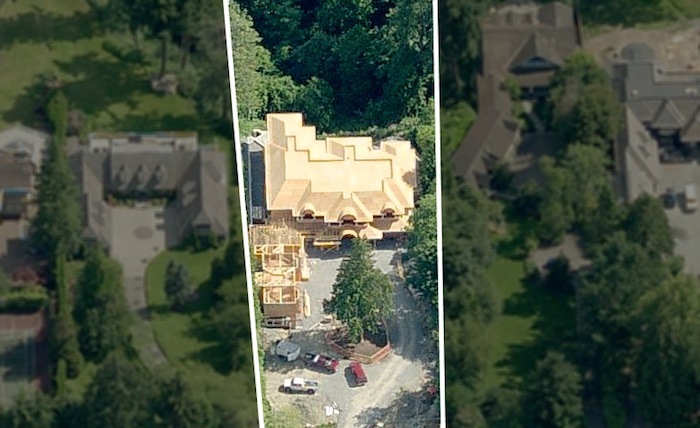 It eventually sold between $6 – $7 million – approximately $11.888 million below the mansion above. 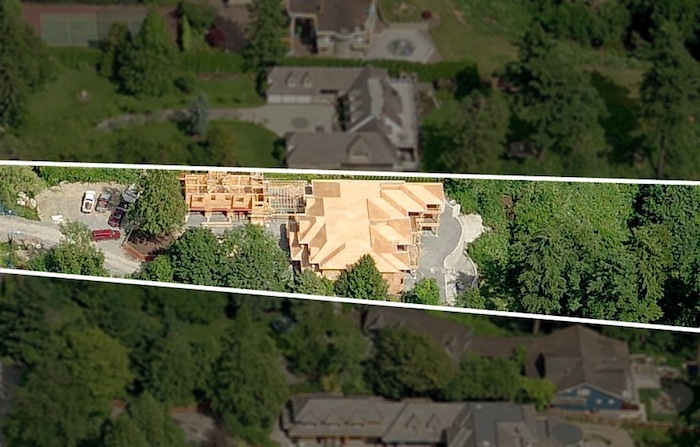 The 2013 BC Assessment came in at $6,248,000. 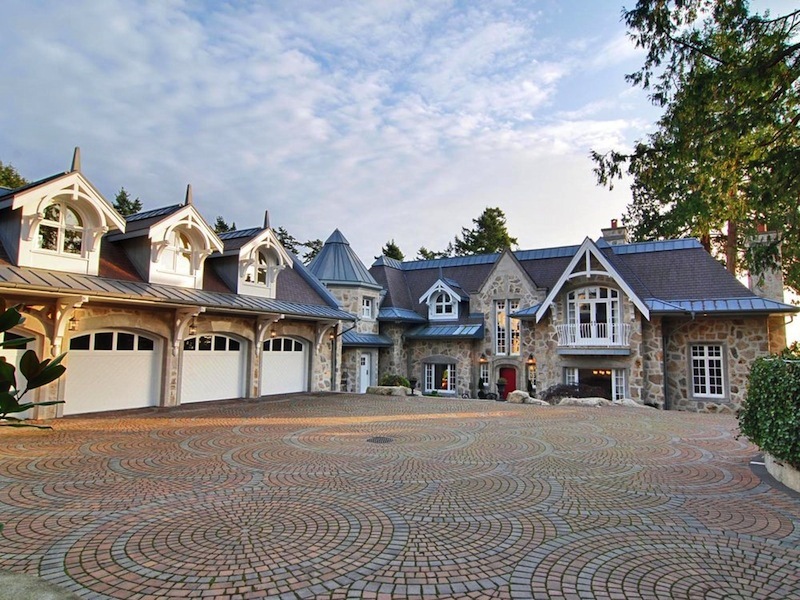 To see this sold mansion in its entirety, view this old Sotheby’s listing here.